This incident took place at a friend’s party circa 2009, in the backdrop of the worst financial crisis the planet has seen for a long time. The average Joe on the street was aware of terms such as mortgaged-backed securities (MBS), sub-prime lending and credit crisis – the reasons for his plight. Back to our party, I met an informed & compassionate elderly woman and after a few minutes of chitchat, the topic came to what I do for a living. At that point, I was working on a project of developing credit-scorecard for a leading mortgage lender in Mumbai. As I started explaining the details of my job, her expression changed from curious to angst and pain. Eventually, she interrupted and said – why would you do such a thing? Is this not the reason for all the mess? I was used to this reaction and had to correct her misconception. Credit or application scorecards can be excellent tools for both lender and borrower to work out debt serving capability of the borrower. For lenders, scorecards can help them assess the creditworthiness of the borrower and maintain a healthy portfolio – which will eventually influence the economy as a whole. Additionally to the borrower, they can provide valuable information such as 45% of people with her socio-economic background have struggled to keep up with the EMI commitment. This could help the borrower make a well-informed decision before getting into a debt trap. Blaming science for reckless human behavior is not new. I believe, any rigorous science with practical applications is like a sharp German blade, a master chef prepares delicious meals with it and the irresponsible leaves a deep and painful cut. For that matter, there are subtle links between credit scorecards and other models mentioned above. The details of these models could be drastically different but the underlining idea for these models is linked to the classification problem. 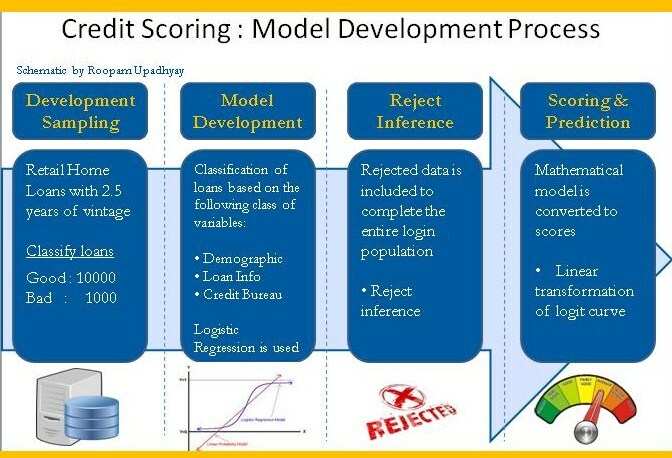 In this series, I shall focus on credit or application scorecard methodology but will try to bring in other another scorecards and models whenever possible. I have compiled a list of books you may find useful while learning about analytical scorecards. The first four of these books have more or less the same flow, with Anderson’s book (#4) a little more detailed. However, you could choose any one of these four books without losing much .The last book (#5) is a collection of articles / papers by practitioners and academicians and is quite interesting. Look forward to sharing my views on predictive analytics and hearing back from you. See you soon with the second part of this series. Excellent posts, I find all the parts quite helpful. Thanks for an awesome article on cerdit scorecard Roopam. I am new to the field of analytics and am finding your articles of gr8 help for an insight into this world. 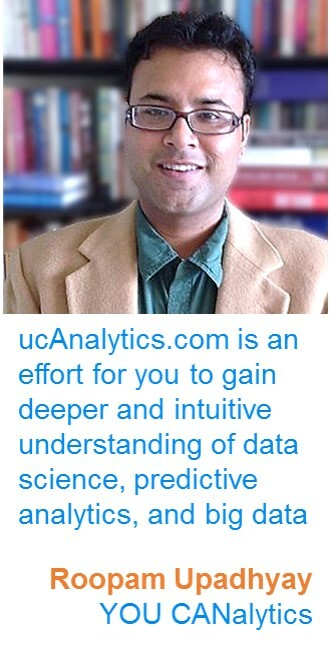 Please keep up with the good work and a beacon of light for people who desire to start a career in analytics. Roopam – just one word which can describe your explanation of Analytics ” Awesome”. The examples that you used in the beginning of article capture interest and entice everyone to read the entire article. Its more like a fictional novel, that you want to finish before taking any other task. Excellent post. Your way of explaining is simple yet powerful. I Request you to suggest some book or case study on fraud detection model. Can you please provide list of books that one can read to build knowledge in other areas as well while waiting for your articles :)? As always tons of gratitude for good work! Several of these R & Python books have case study examples in marketing and risk management. I suggest you start with these books. 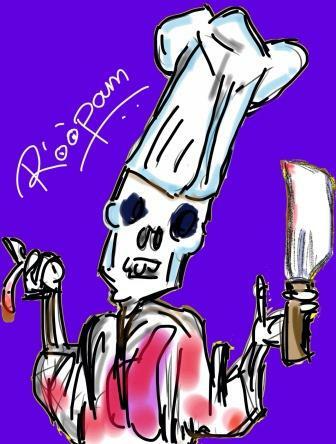 Thank you Roopam. This information is of immense help! Thank you for the great article,However i did not get the concept of a rolling performance window? You are doing a great service to self-learners and innovators who will benefit from your analytics. Can you suggest a good source of data paid/unpaid for this study to make into a real life project?